Vancouver, BC – The Vancouver Academy of Music Symphony Orchestra (VAMSO) ends its season with a tour de force finale of riveting film scores in A John Williams Tribute, May 7, 2017, 2pm at the Orpheum Theatre. This homage to the maestro of the movies will feature Williams’ epic and gripping works from Star Wars: The Force Awakens, Indiana Jones, Catch Me If You Can, and more performed by VAMSO under the baton of conductor Kathleen Allan. Born in New York City in 1932, John Williams studied piano under his father, a musician for the CBS Radio Orchestra. Williams pursued jazz piano and composition studies at Juilliard School of Music, and later relocated to Los Angeles to perform with the Columbia Pictures Orchestra. His first compositions to make it on screen were for TV shows Wagon Train, Gilligan’s Island and Lost in Space. Widely considered the world’s most successful film score writer, Williams is a winner of five Oscar Awards, and the recipient of a staggering 50 Oscar nominations. Among the list of more than 100 movies he has scored, eight films are within the top 20 highest-grossing pictures at the U.S. box office. 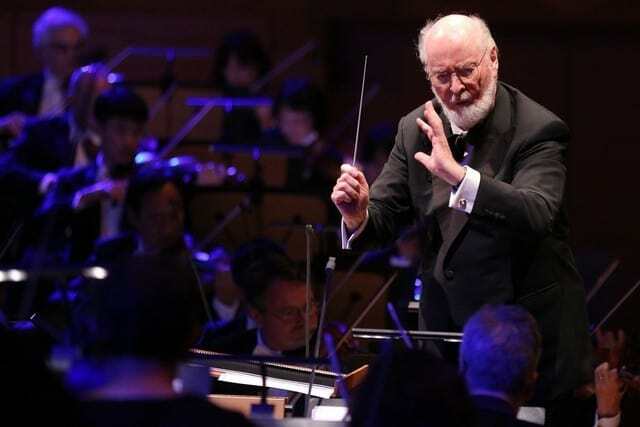 Audiences at A John Williams Tribute will be transported to mystic kingdoms and faraway galaxies while taking in memorable themes from silver screen classics by directors George Lucas and Steven Spielberg. While the program offers some of the most recognized motion picture music of all time, the concert will also include Williams’ lesser-known masterpieces. Such works include Suo Gan, the stirring Welsh folksong featured prominently in Empire of the Sun, and the ceremonious Hymn to the Fallen from Saving Private Ryan, which will feature the choirs of VAM’s Mary Buckerfield White Choral Program. As an additional highlight, attendees who might be familiar with the music from the original Star Wars trilogy will hear new, dramatic passages created by Williams for the 2015 blockbuster, Star Wars: The Force Awakens. Audiences will also be treated to a thrilling saxophone concerto from the score of 2002’s Catch Me If You Can featuring local, accomplished musician Michael Morimoto.